The design and development of a risk-based management system and relevant models to assess identity (of traveler), possession (of assets that can/cannot be used to generate a threat), capability (specific skills of people with which they can/cannot impose threat) and intent (from which the presence or absence of a threat can be derived). 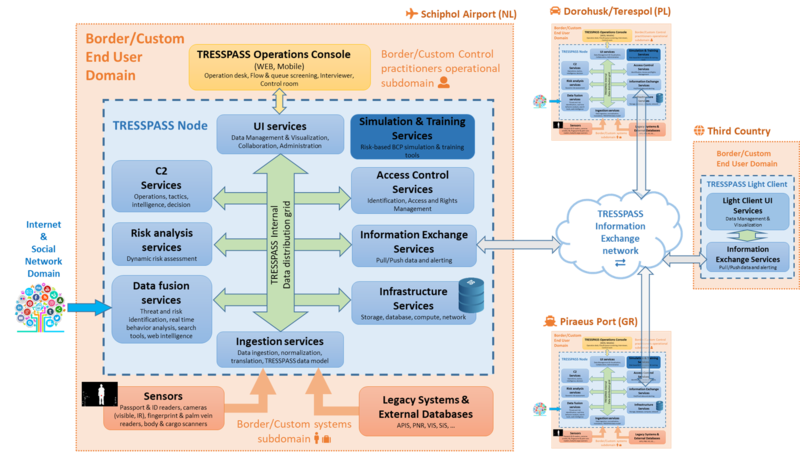 TRESSPASS system will elevate the process and security to new levels, by collecting data from all the above data sources, fusing and analyzing them, thus making the appropriate risk analysis and feeding the C2 system to support the decision of the border officers. Extensive Simulation tools and processes will be developed in order to stress TRESSPASS in-vitro as well as to train officers through realistic scenarios and gamified environments.